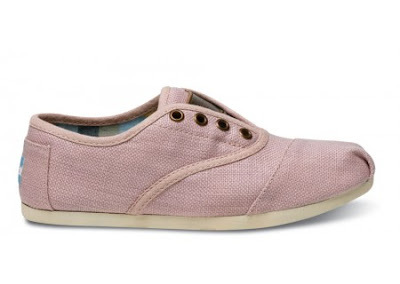 Pale-pink Cordones by TOMS Shoes, $69. The TOMS Shoes movement started in 2006 and since then it has taken America by storm. Their concept: for every pair of shoes you purchase TOMS will donate a pair of shoes to a child in need. We particularly love this pair of Cordones because it has a cool downtown feel and the soft blush shade is easy to wear with anything. You can sport them with jeans, skirts, dresses and shorts. If pink is not your thing the Cordones come in a slew of shades ranging from white to plaid. What more could you ask for? This One for One initiative is something you can truly feel good about. Check out this video for more One for One news from TOMS Shoes.